Minimum To Know About Cloud Computing – Mainly by the Average Users or Less than Average User. Not Everyone Knows Even the Basics of Internet Protocols, so we have made it easy. Often we hear this phrase Cloud Computing or its shorter phrase Cloud. What is exactly this Cloud Computing is? We have described the levels of Cloud Computing “ Software as a Service (SaaS), Platform as a Service (PaaS), Infrastructure as a Service (IaaS). These is the master article on Cloud Computing too. We have described many of Cloud Computing related things in our Cloud Computing section. Unfortunately, often to understand these articles, there is a need of having some basic knowledge, sometime to some extent; advanced knowledge. On a prediction that every reader has the minimum knowledge, a blog article can not be written! Though, we have an article and diagram on Basics of Cloud Computing; that is not easy to digest! So, the point comes back – What is the Minimum To Know About Cloud Computing and Why We Need To Know this Minimum To Know About Cloud Computing? Well, you know or do not know; all of the Social Networks uses Cloud Storage – Practically uses CDN (Content Delivery System). So, it is important to know about that aspects, we created the Checklist for Secure Cloud Computing for that purpose – it will be easy to implement. Cloud Computing, itself demands quite good grasp on computing and Networking. It is not possible for a News kind of website or News Blog to have so high quality Authors. They often hires copywriters at 5-10 USD per article payment rate. The science and technology get distorted. It is obvious that, knowing nothing is better than knowing the wrong. There are obviously good article websites. Knowing a Data Center got hacked or Amazon’s downtime will not really help you in practical life. Never upload as much personal photos, videos on Facebook – all uploaded photos on Facebook becomes content of Public Domain. 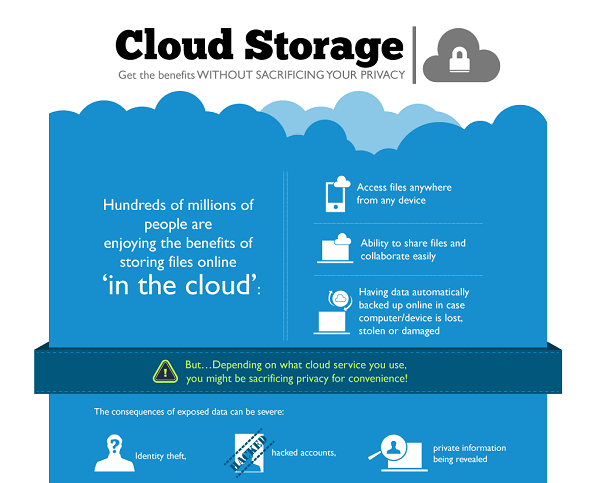 Cloud Storage, specially free are not actually alternative of your USB backup. Encrypt any backup before uploading to Free Cloud Storage. Cloud Computing do not offer huge advantage to an average user – you need not to know too much. Clear your Browser Cookie and Cache after logging out from Facebook like Social Networks, Free Cloud Storage Services etc. It is better to avoid using Microsoft Windows as without an updated Antivirus and AntiMalware, it is 100% risky to surf the Internet. GNU Linux is Free and Safe. Vendors an their paid peoples will always claim Microsoft Windows to be safe. If you know UNIX well, only then use a Mac. Mac is for Professional usage; using a high end device by a noob increases the problem. Furthermore, Mac costs more. It is better to use an Internet Connection from a reputed ISP. These are more than enough for an average user. It will take 3-5 days to read them all ! This Article Has Been Shared 8491 Times! Create Animated Progress Showing Favicon Like Pie Charts, sounds odd but there is no way to describe this cute function that adds a virtual progress bar in Pie. Advantages of Heroku Cloud with Custom Domain Name are numerous even with fully free version. Most has little idea that how powerful this Heroku Cloud is. Installing Load Balancer OpenApp NAP on Rackspace Cloud Server makes your Cloud Platform a High Availability set up and features an elegant web interface. OwnCloud Tutorial for Rackspace Cloud Sites is not only helpful for the users of Rackspace but it is also helpful for who are using OwnCloud on other setup. Running Any on PHP MySQL Based App on AppFog Cloud is basically quite easy. Here is basic method to run any PHP MySQL Based App on AppFog Platform as a Service. Cite this article as: Abhishek Ghosh, "Minimum To Know About Cloud Computing," in The Customize Windows, January 19, 2014, April 25, 2019, https://thecustomizewindows.com/2014/01/minimum-to-know-about-cloud-computing/.